First look at one of the many styles of the SB Dunk Low set to release next year. 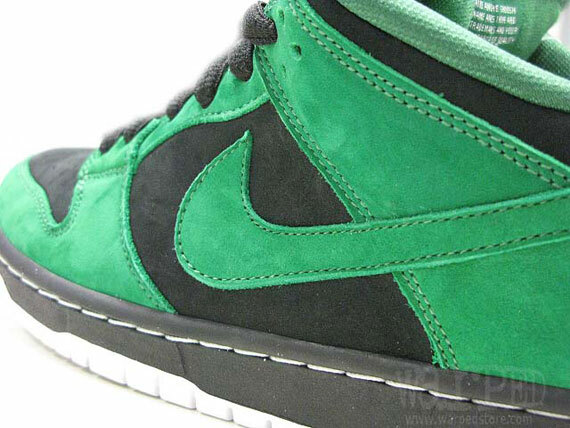 Continuing our look into what 2011 has in store for Nike SB, we now have this all new black and green build of the SB Dunk Low. While many will be quick to just come up with some crazy nickname for them, this all new pair wont pass us by without appreciating its complete suede build. A nice touch that's sure to be loved by many skaters who support the Swoosh. 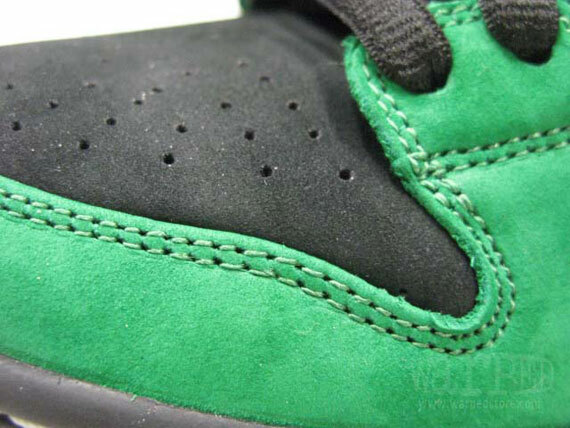 Black and green are seen working the entire suede upper, with black also taking place on the mesh tongue, laces and midsole. White is also seen playing a part, taking place on the midsole stitching, outsole and branding throughout. An official release has yet to be announced, however word is we will be seeing these sometime in 2011. Stick to Sole Collector for the latest as well as a look at the rest of the Nike SB 2011 Collection.